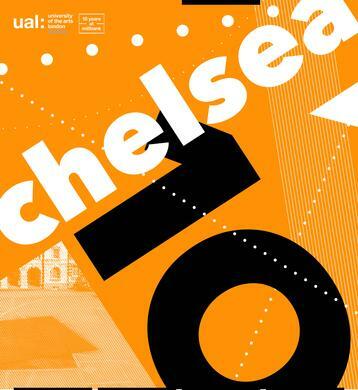 Chelsea College of Arts will be celebrating 10 years of creativity at Millbank with ‘Chelsea 10’ an exhibition celebrating Artists and Designers that have graduated from the college since 2005. The exhibition is taking place across the Millbank site with work exhibited in the Triangle Space, Cookhouse Gallery and the Rootstein Hopkins Parade Ground. Sebastian Acker, Zehra Arslan, Anna Baranowska, Cecilia Bonilla, Jonny Briggs, Rosemary Cronin, Nicolas Deshayes, Gefei Dong, Jo Gibbs, Lucy Hardcastle, Emma Hunter, Henry Hussey, Joe Joiner, Lucy Joyce, Helen Kemp, David Lam, Jei Lee, Jacqueline Lefferts, Elyne Legarnisson, Sarinya Limthongtip, Haroon Mirza, Vicki Murdoch, Sean Murphy, Reuben Nanda, Zoe Norton, Cara Piazza, Eleonora Polotti, Chetna Prajapati, Anna Rhodes, Dave Russell, Kazusa Takamura, Ariane Van Dievoet, Francesca Ulivi, David Ben White, Rafal Zajko, Charlie Patterson + Jonny Holmes, Isabel + Helen. NB Exhibition fully officially open from daytime 24th September – elements are already open from today 22nd September. Next Next post: End of Term – finally!